Annual production could rise roughly 50% this decade. Mexican auto factory output is poised to explode this decade, making the country a top source of U.S. vehicle imports -- particularly small cars. Automotive News estimates that just-opened and newly announced plants in Mexico will add more than 1.5 million units of vehicle capacity there through 2019, much of it aimed at U.S. consumers. That will give Mexico the factory muscle to turn out 4.5 million cars and trucks -- roughly a 50 percent increase over the 2,934,049 units built in Mexico in 2013. 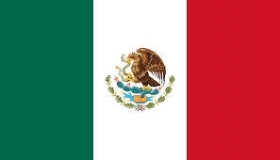 A stream of new export-oriented projects in Mexico has been announced this summer. On Thursday, luxury carmaker BMW AG said it will spend $1 billion to build a 150,000-unit-capacity plant in San Luis Potosi in central Mexico. The plant will begin production in 2019 and will employ about 1,500, said Harald Krueger, BMW board member responsible for production. BMW did not say what vehicles will be built there. BMW's plan went public less than one week after its chief competitor, Daimler AG, and technology partner Renault-Nissan said they will spend $1.36 billion to construct a factory for compact luxury cars in Aguascalientes, Mexico. That plant -- adjacent to a new Nissan-brand factory that opened late last year -- will build 300,000 Mercedes and Infiniti vehicles in as many as six model configurations. Reports also are emerging from Korea that Kia Motors Corp. is on the verge of announcing plans to build its first plant in Mexico. A press report last week cited an unnamed company source saying Kia plans to produce 300,000 cars a year, including the Soul subcompact, Forte compact and a Kia minicar. A spokeswoman for Kia's U.S. subsidiary in Irvine, Calif., could not confirm last week's report. Missing from the news was any mention of the new interest in Mexico from Hyundai, Kia's sibling company. Hyundai is launching a sales channel this summer in Mexico but has not clarified where it will obtain vehicles in the long run. Mexican trade law imposes a 30 percent tariff on the sale of imported new vehicles that do not have at least 50 percent NAFTA content -- a powerful incentive to invest in a Mexican assembly plant. To export a Mexican vehicle duty-free to the United States, it must have 62.5 percent NAFTA content. Industry watchers have predicted for decades that Mexico would "someday" become a key piece of the North American auto business. "That someday has come," says Joe Langley, principal analyst for North America vehicle production forecasting at IHS Automotive. "It's getting hard to keep up with the plans there." The growing list of new and expanding automakers in Mexico now includes Nissan, Mazda, Toyota, Honda, Audi, Mercedes-Benz, Infiniti and BMW. Mexico has been supplying U.S. retailers with substantial numbers of mostly Detroit 3 vehicles since the 1980s. But the situation has changed. The world industry now faces demand for small, fuel efficient models that many automakers have not offered or offered only in small volumes. To compete in these growing markets for compacts and subcompacts, both luxury and mainstream automakers from Mazda to Mercedes are rushing to add assembly lines to supply the United States. Why in Mexico, and not Germany, Japan, Canada or the United States? "The Germans don't have the available capacity anywhere else," Langley says, "and the Japanese and Koreans are trying to move the capacity out of their home currency. "And because these new models are lower-priced vehicles, the factories need to be in a market where labor is inexpensive, which Mexico's certainly is. But they still need to be very close to the main market, which is the United States." That situation is also helped by the free-trade agreements that Mexico has with 44 countries. Daimler CEO Dieter Zetsche, in announcing his new Mexico arrangement with Nissan, cited the free-trade benefits for new Mercedes cars that will be exported globally. "The Mexican situation with special trade agreements, including between Mexico and Europe, is very beneficial," Zetsche said. "Which allows us at a preferential situation to export vehicles to Europe, but to other places as well." The European Union charges a 10 percent import tariff on U.S.-made vehicles, but not on autos from Mexican factories. Likewise, BMW said in a statement that "the large number of international free-trade agreements -- within the [North American Free Trade Agreement] area, with the European Union and the MERCOSUR [South American trade bloc] member states, for example -- was a decisive factor in the choice of location." Nissan has been a leader among Asian brands in small-car exports from Mexico during the past decade. Last month, the newly added capacity of its Aguascalientes plant, which opened late last year, helped Nissan boost U.S. sales of the Sentra 68 percent over June 2013. "That was the right place for us to build that product," says Fred Diaz, Nissan's senior vice president for U.S. sales and marketing and operations, and prior to last year, CEO of Chrysler de Mexico. The investment in Mexico likely will turn up the competitive heat on automakers who are not moving small vehicles into Mexico -- notably General Motors, which produces its subcompact Chevrolet Sonic in Orion Township, Mich., and its compact Chevrolet Cruze in Lordstown, Ohio. IHS's most recent forecast predicts that GM will move small-car production to Mexico later in this decade.